The first contract is in and I’ve got the illustration started. Once I have the Illustration completed I will post here for you to see the results. Here are the line drawings of examples of some types of creatures that can be used to make your illustrations. 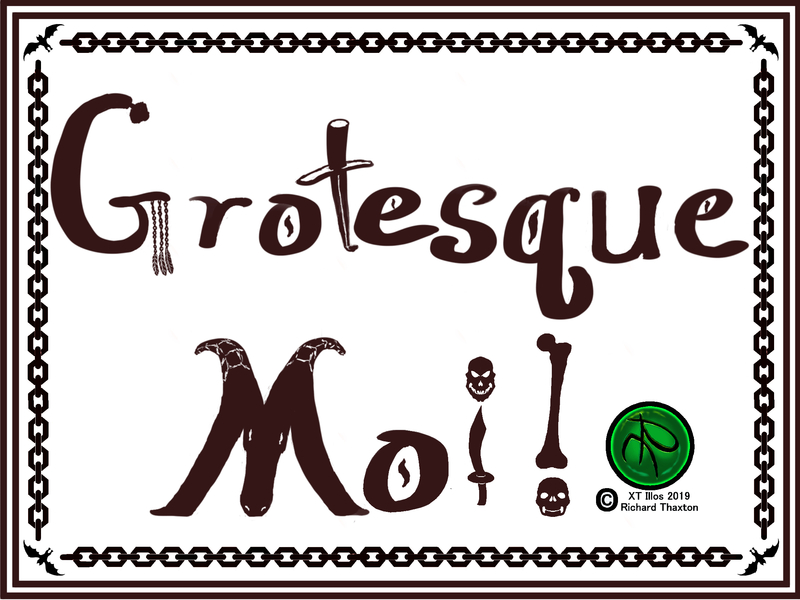 Welcome to Grotesque Moi! An Illustration project with you the fan and collector in mind. Inside you will find yourself transformed into your favorite fantasy creature! As your guide and illustrator, I will help you find the best hybridized image of yourself as your fantasy creature. When completed you will receive your illustration digitally printed on a 16″ x 20″ canvas ready for you to frame. Each completed purchase of a tier will set aside a block of my time to create your fantasy creature illustration. Below is a breakdown of each tier. First level commission for the Grotesque Moi! project. The business contract will be negotiated before any work starts. This work will be produced through a digital media painting method. This canvas will be illustrated vertically. Character is in a full body illustration. The background is subdued in a slightly out of focus vignette style. Completed purchase will include one 16″x20″ canvas print of the illustration, one 8″x10″ glossy stock print of the illustration, one glossy stock XT Illos/Grotesque Moi! postcard and one glossy stock XT Illos/Grotesque Moi! business card. Second level commission for Grotesque Moi! project. The business contract will be negotiated before any work starts. This work will be produced through a digital media painting method. This canvas will be illustrated vertically. Character is in a full body illustration. It has minimally illustrated foreground and background. Completed purchase will include one 16″x20″ canvas print of the illustration, one 8″x10″ glossy stock print of the illustration, one glossy stock XT Illos/Grotesque Moi! postcard and one glossy stock XT Illos/Grotesque Moi! business card. Forth level commission for Grotesque Moi! project. The business contract will be negotiated before any work starts. This work will be produced through a digital media painting method. This canvas will be illustrated horizontally. Multiple characters up to 5 are in full body illustrations. It has a fully illustrated foreground and background. Completed purchase will include one 16″x20″ canvas print of the illustration, one 8″x10″ glossy stock print of the illustration, one glossy stock XT Illos/Grotesque Moi! postcard and one glossy stock XT Illos/Grotesque Moi! business card. I look forward to creating your fantasy creature illustrations! Thank you for stopping by!